In the wake of True Detective the prennial women (or lack of) in crime fiction/treatment of women in crime fiction topic arose again. So it was an interesting time to read Kelli Owen's Six Days, a book that, in many respects, messes with a lot of the conventions that surround the idea of the female victim (because it always has to be a woman right?). In Six Days the protag wakes up in a dark room. She can't see and can't remember how she got there. She then has to explore her environment and go back through the significant events in her life to see if anyone in her life could have done this. Here, the female victim of a crime is practical, a fighter, she has agency and determination. In other words, hey!, as anyone would be in this situation. She isn't reduced to a blubbering mess [not fully and immediately anyway:)] waiting to be rescued. The POV also stays tight and with her. Her sensory access (and thus ours) is what she can hear, taste, and touch, smell and the reader will explore every inch of that basement right along with her. What we get by the end is a character that isn't a blank screen for the other characters in the book to project on to (especially since she gets to tell her own story). But a fully realized character who is also a victim and not just a victim. Savvy readers will become aware that is also a story that parses out information in a careful manner in order to build to a desired effect or reveal. In that respect Six Days would appeal, additionally, to fans of books like Gone Girl and Before I Go to Sleep. 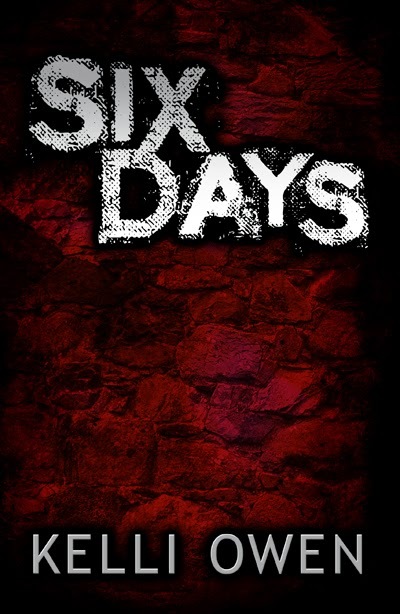 It's also worth noting that Owen comes from the horror community, that Six Days has primarily received coverage in the horror community, and the book is even treated as a horror novel. It isn't. I've seen this type of thing before with other horror authors that write more crime fiction type books. So Six Days is a book that you may not have heard of but is worth your time. How You Like Those Gatekeepers Now?